Enjoy the ultimate in cinematic adventures at home. 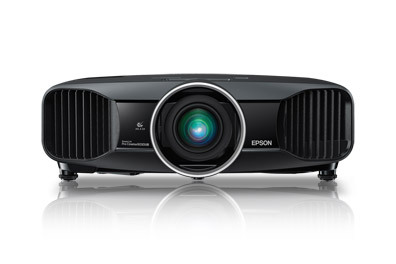 Premier 2D & 3D Full HD 1080p Home Theater Projector Starting as low a $1599. Special Packages Available Enjoy the ultimate in cinematic adventures at home. The PowerLite Pro Cinema 6030 brings the power of 3D right to your living room with Bright 3D Drive technology and full HD, 1080p performance. Immerse yourself in eye-popping adventures with 2400 lumens color / white light output1and an astounding contrast ratio of up to 200,000:1. This state-of-the-art performer also features a built-in cinema filter, THX certification (pending) and ISF calibration, for movie viewing the way filmmakers intended. And, it even comes with two pairs of 3D glasses, so you can enjoy 3D entertainment right out of the box. This high-value home theater projector also features great 2D performance. It's never been easier to entertain family and friends with the ultimate cinematic experience. * Spare lamp and ceiling mount included * ISF Certified for professional calibration Models starting under $1599!